The ripe coffee fruit is commonly called a ‘cherry’). Underneath the red skin is a greenish-beige seed called a ‘green bean’ – the industry term for unroasted coffee. Being a large company chain, Starbucks negotiates good quality coffee to do what we all want to do. Buy cheap and sell high. I don’t believe the myth that they buy low-quality coffee. That would be stupid from their target consumer’s point of view. Besides, it’s not necessary; their markup is comfortable enough for them to afford to buy coffees that are much better than the average mass market stuff. Starbucks uses 100% Arabica grains to make their coffee while mass market coffee is made mostly from the lower taste quality Robusta beans. Any average coffee taster knows that a blend split of around 80% Arabica and 20% Robusta is fantastically good enough for a greater portion of the population. So 100% Arabica is near perfect for the vast majority. Arabica makes up about 70% of the imported coffee in the USA, but Arabica is not as common and not as cheap to produce as Robusta. In plain words: Arabica is better and more expensive. Brazil is the largest coffee breeding country in the world and responsible for the best average quality of all types of coffees possible. Brazil is also the largest Arabica producer in the world and probably when you drink a non-origin-specific coffee in Starbucks, you are likely to be drinking some Brazilian coffee in the blend. When I travel to the US, Starbucks is my little heaven on Earth. It’s because they have the best gourmet coffee? No. It’s because they have the easiest and standardized gourmet coffee one can easily find without having to dig up local information. You find one, and you get pretty good coffee that is way better than the stuff you get from Dunking Donuts or such. Ages ago, before Starbucks, the coffee scene was laughable, Starbucks and a few others are responsible for the spread of the gourmet coffee concept. Nowadays you can find a café almost everywhere, but you need to learn about them. 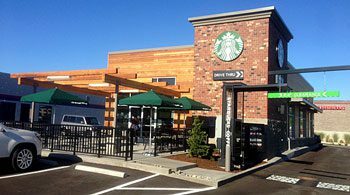 So, when visiting America, I go for Starbucks on an everyday basis and dig up some more fancy cafés now and then and again. Some people say that Starbucks burns their roasts to avoid bad coffee taste from poor coffee quality. I find that quite absurd. Individuals who say that kind of stuff don’t know what burned coffee is. Nobody, in their average state of mind, would do such a stupid thing. Overroasting is a standard procedure among large companies that use extremely low-quality coffee with a significant percentage of Robusta. Those low-quality coffees aren’t even visually presentable, with cracked beans full of small holes of diseases. Besides, Starbucks roast is not burnt. It is truly something between a French and Italian roast. Is that darker than what I would choose? Yes. Taste is different from person to person. Furthermore, I’m pretty sure they don’t do it out of the blue. My guess is that they found out that this type of roast is what sells more. A darker roast makes it more flexible to buy different coffees and maintain a particular pattern and keep better control over their blends. Darker roasts provide more caffeine, which is one selling component that should not be taken for granted. Is their roast bad? No, not at all. I like it a lot. It’s an excellent pretty-fresh dark roast that works well because it is always the same. All that added to the facts that Brazil produces 30% of all world coffee at competitive prices, reinforces suspicion (assurance) of Brazilian coffee present in their generic blends. Who can blame anyone that likes Starbucks Brazilian Coffee? Starbucks is for people that like good coffee and usually don’t have too much time to spend running after the fancy places, or brewing their gourmet coffee at home. If you think Starbucks tastes bad, well then that’s your fair opinion. I don’t believe that it’s bad but do find it’s a bit acid. I prefer slightly mellower blends like medium roasted Mogiana, but that does not prevent me from appreciating Starbucks. In fact, instead of considering their coffee a medium-low quality gourmet product, I prefer thinking Starbucks as top-of-the-list in the retail coffee beverage chain. 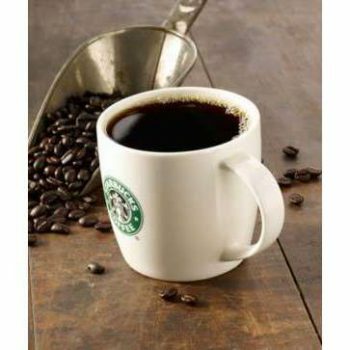 Please, leave a comment about this Starbucks Brazilian Coffee post.